Some 1940s makeup images from two beautiful expressionist films made in wartime Britain by Michael Powell and Emeric Pressburger – Black Narcissus and A Matter of Life and Death. This short beauty post celebrates both the amazing cinematography of Jack Cardiff who shot both films, and the striking ethereal beauty of actress Kathleen Byron. 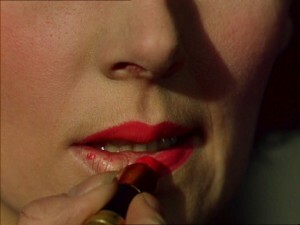 First – the infamous ‘Lipstick Scene’ in Black Narcissus when Byron’s Sister Ruth goes mad and taunts Sister ‘Deborah Kerr’ by openly wearing makeup and applying lipstick – which turns her into some sort of ‘werewolf’ according to the Wikipedia entry on Black Narcissus. An accurate enough description. We just love the film, its spiritual integrity and its beauty. A Matter of Life and Death – starring David Niven – who having bailed out of his stricken bomber without a parachute – fully prepared to die,is ‘missed’ by his angel in the dreaded English fog – survives, falls in love and has to fight in a heavenly court to stay alive. Truly beautiful film by anyone’s standards,and the female stars Kim Hunter and Kathleen Byron – are luminescent thanks to the aforementioned Jack Cardiff. 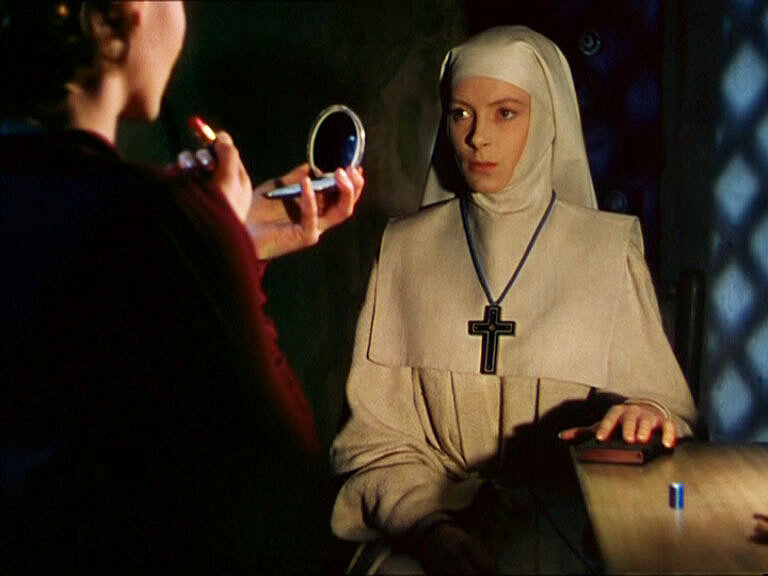 If you haven’t watched them – treat yourself to both and every other Powell and Pressburger movie. 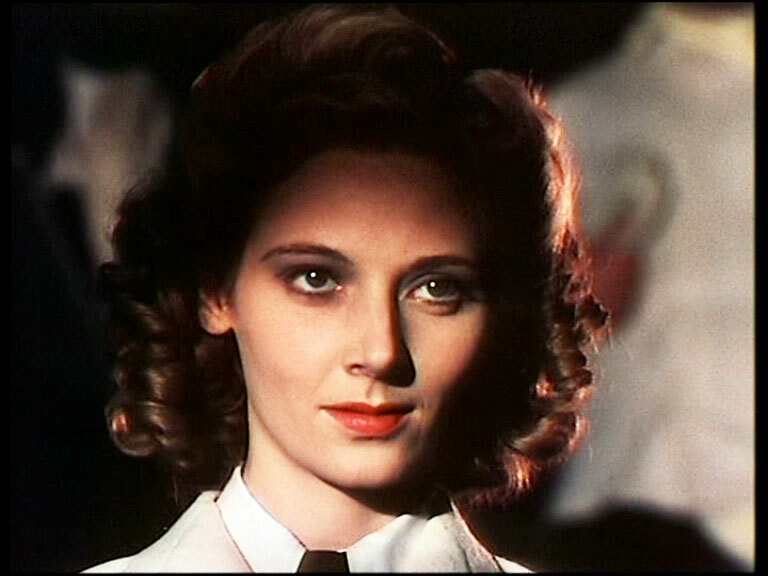 Kathleen Byron – A Matter of Life and Death -1940s hair and makeup Style. Oh, I agree with Kate! It’s chilling, that scene. Fantastic movie, I try to watch it every time it’s on. Have never seen the other, and will certainly watch for it.